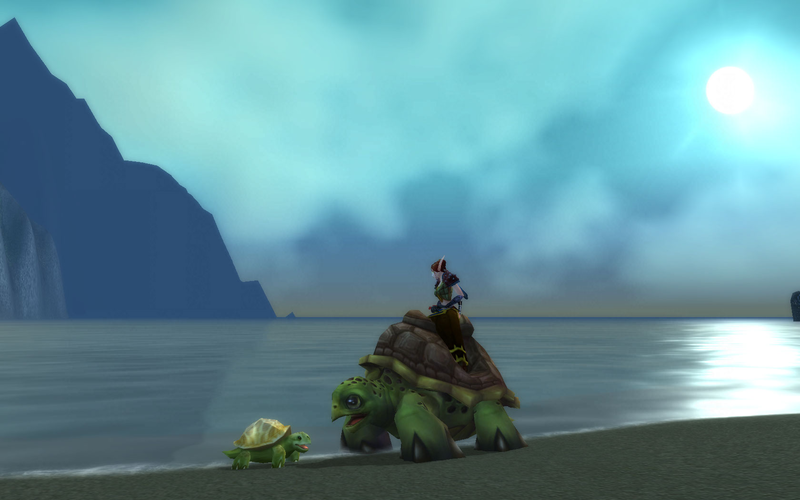 But one thing made me sad… my favorite place in the whole game was this beautiful little black sand beach in Ashenvale called Zoram’gar Outpost. It felt like a Troll fishing village, and the beach had the best view of the moon over the ocean. Also, fun fact: There were these two Trolls who gave you quests that were named after Japanese supermarkets (Mitsuwa and Marukai). I always thought they were a couple or something. So I go to Zoram’gar… and it’s TOTALLY DIFFERENT! There are burning ships everywhere, they erected all these big ugly towers and there’s half-built scaffolding all over the place blocking the beautiful moon and black sand. I actually felt kind of sad… it was like my go-to-place, and now it’s gone.